Our son Harry died in my arms when he was 10 months old. He had actually survived far longer than experts had predicted. Cared for by Acorns Children's Hospice, his support had cost over £100,000. Years later, inspired by another bereaved parent, I decided I would undertake a sponsored physical challenge that would take me well beyond my personal comfort zone: Having never swum further than around a mile, I decided to attempt swimming the infamous English Channel. 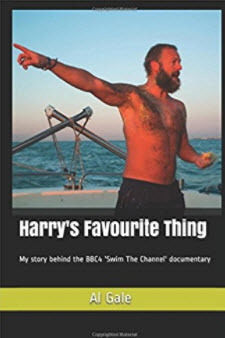 This book charts Harry's short life, and tells the back-story of my Channel attempt, as shown on BBC4's 'Swim the Channel' documentary. My first book, Tooth And Nail has now been published on Amazon. Click here to view. 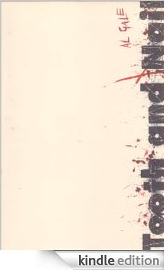 The book is in the same style as some of my more violent stories such as Shocked - so beware! Not all eighteen year olds are the same. When Ian Brink arrives on the Isle Of Wight, short tempered, violent, and more than capable of looking after himself, it is quickly apparent that he is certainly not the same as many other teenagers. Armed with only a battered letter as justification for his one man crusade, Ian is convinced his lifelong friend was killed on the picturesque island, having become entangled with a murky underworld controlled by enigmatic drug barons. His rash behaviour is quickly felt and his aggressive attitude earns him almost nothing but enemies in the close-knit town of Cowes. Just who would believe a mainlander, an outsider, declaring his belief in a drug racket so utterly at odds with the tourist haven? Who, that is, except a lifelong friend. 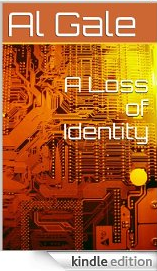 A Loss of Identity is now also available on Amazon. Click here to view. Orphaned, despised by his in-laws, betrayed by a legal system he trusted – Toby Andrews has only one avenue, one skill at his disposal. To revenge the ultimate of crimes, he will risk his career and reputation to take on an influential and powerful entrepreneur. With stakes this high, there can be no fairy tale endings.